The Berghaus Organ Opus 224 is a beacon of majesty and glory that soars to the heights of the beautiful sanctuary of La Casa de Cristo. 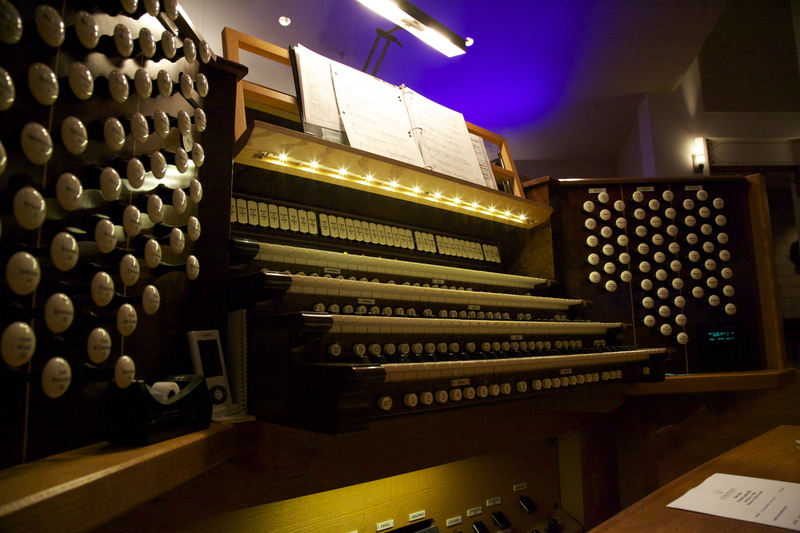 It is truly an eclectic instrument that contains 91 ranks, 92 stops, and 5,067 pipes; the console is comprised of four manuals and a 32-note pedal board. The organ was completed in 2008 and its architectural design was inspired by the landscape of the McDowell Mountains. From the September 2009 edition (pp. 30-31) of the magazine The Diapason, you can read an exhaustive description of the organ. This article discusses its sound palette, aesthetic design, types of wood and metals used, and a list of ranks. Click on this PDF file to access the article or visit www.thediapason.com/cover-feature-50. 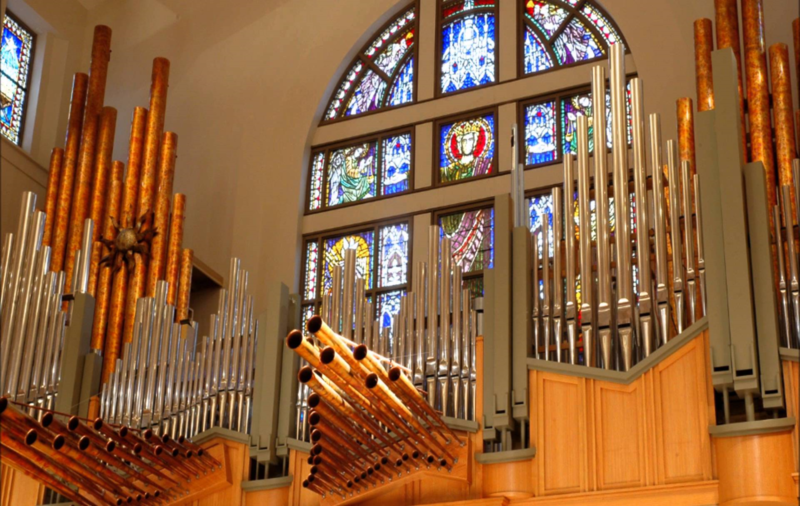 Click here to see before and after pictures of the organ’s construction, as provided by the Berghaus Organ Pipe Builders website. The organ at La Casa is their Magnum Opus—their largest work—and whether played forte or piano, it truly enriches the worship experience and magnifies the holy Word of God. Finally, be sure to revisit our Music Ministry homepage for videos that feature the organ, choir, and other special musical moments! -To honor the memory of A. Paul & Marilyn J. Stork.